All transactions and merchandise are done through a third party. No financial transactions are handled by or through Flurry the Bear's official website or via J.S. Skye. By clicking the "BUY NOW" button, you will simply be directed to a new tab in your browser that is separate from this website. IMPORTANT! Please keep in mind, many of the prices can vary considerably depending on special sales being held, discounts given, various sizes, and types of material options offered by these third party websites. So the initial price you see, may not be the lowest price available. Changing the size or material type can drastically reduce prices. AUTOGRAPHS: Autographs are FREE! If you would like to have your book/books signed, you MUST order them directly from J.S. Skye. If you order the books from Amazon, J.S. Skye won't be able to sign them. In order to have signed books, you'll need to contact J.S. Skye by e-mail. Please mention which books you'd like to order and he will send you a PayPal invoice. 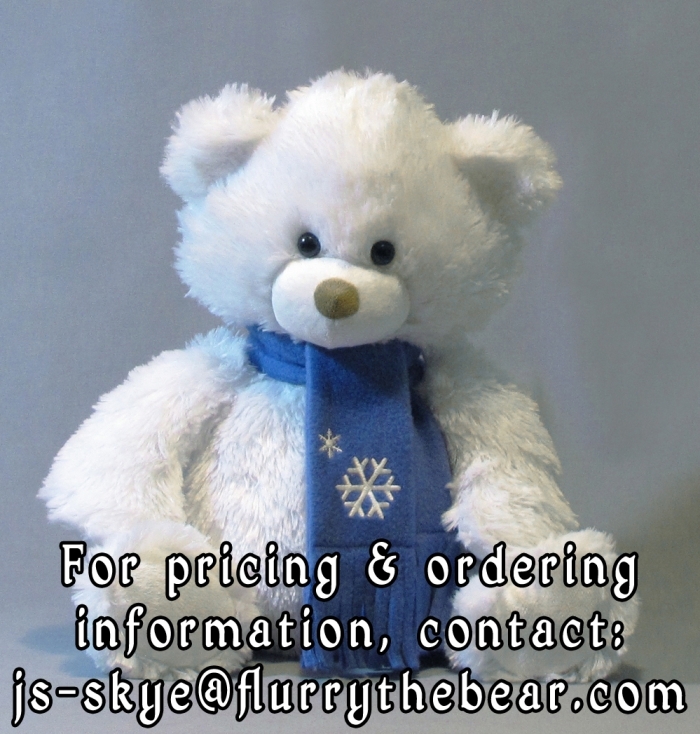 He may be contacted at: js-skye@flurrythebear.com The price for ordering a book directly from J.S. Skye is $12.95 each. This price should be the same as Amazon's price, but they have been known discount the books from time-to-time.